SAML is an open authentication standard that allows single sign-on to applications and sites. Secret Server password management software supports SAML 2.0 for user-authentication to the Secret Server website. 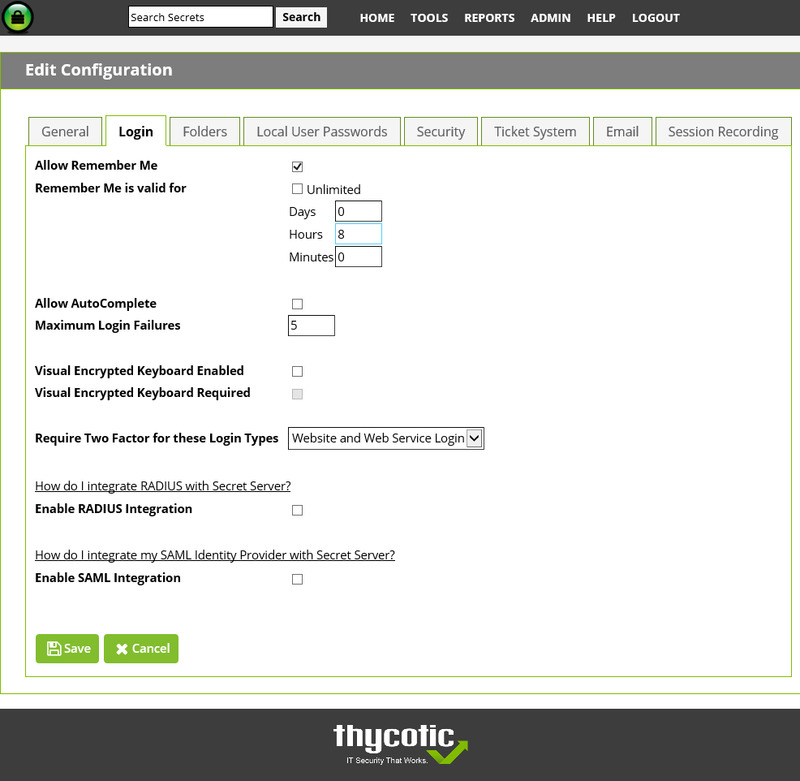 Users configure Secret Server as a service provider and link it to their SAML identity provider. This makes it easier for them to log into Secret Server as once they’re authorized by the identity provider they won’t be prompted for their Secret Server credentials. Try Secret Server FREE for 30 days by completing the form on the right. It’s packed with user-friendly features like this one; comes with full support; and it’s the easiest password management software to implement and use!